Banker Lopez Gassler is pleased to announce the firm's newest Certified Mediator with the Florida Supreme Court, David Bresler. David Bresler is an AV rated member of the firm's St. Petersburg General Trial practice group and a member of the firm's Board of Directors. His practice focuses on construction litigation including construction defects, professional liability and soils engineering. 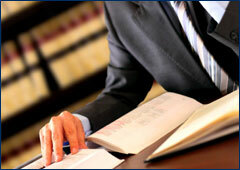 He also handles products liability and property damage claims. Mr. Bresler represents general contractors, subcontractors, architects, engineers and developers. He is Board Certified in Civil Trial Law with the Florida Bar and in Civil Trial Advocacy with the National Board of Trial Advocacy.